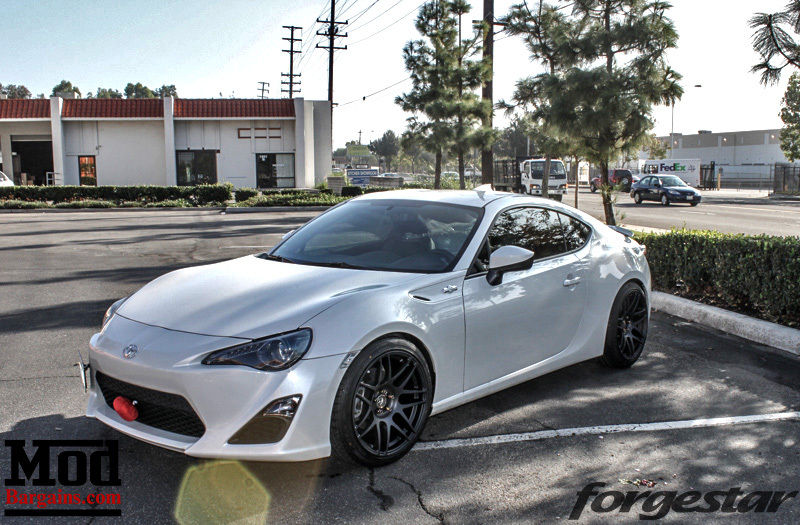 A few weeks back (before Xmas obviously), Brandon Bu brought in his Scion FR-S, dubbed Donut86, to be fitted with a set of Forgestar F14 Wheels for Scion FR-S. Brandon dealt with ModBargains Co-Founder Ron Hay to place his order and coordinate his install. 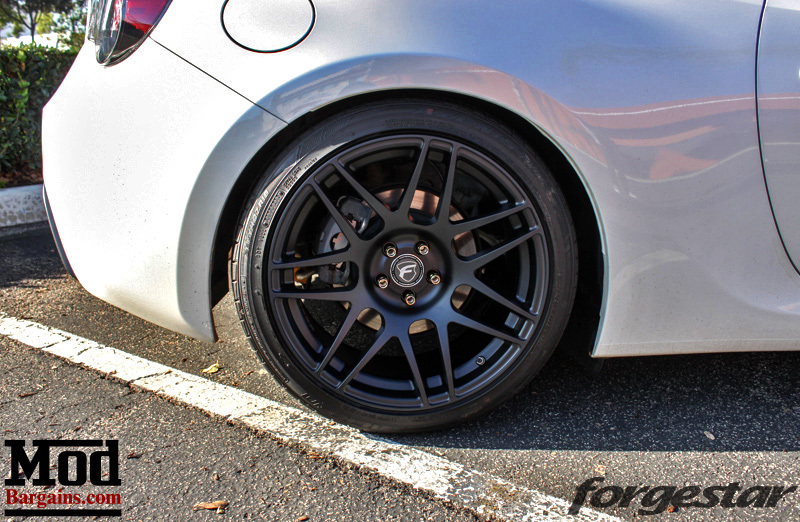 Forgestar only recently started offering the F14 in smaller diameters like 18in and even 17in fitments to suit cars like the FR-S, and these flow-form wheels are a great choice whether you plan to just cruise the street or hit the track. 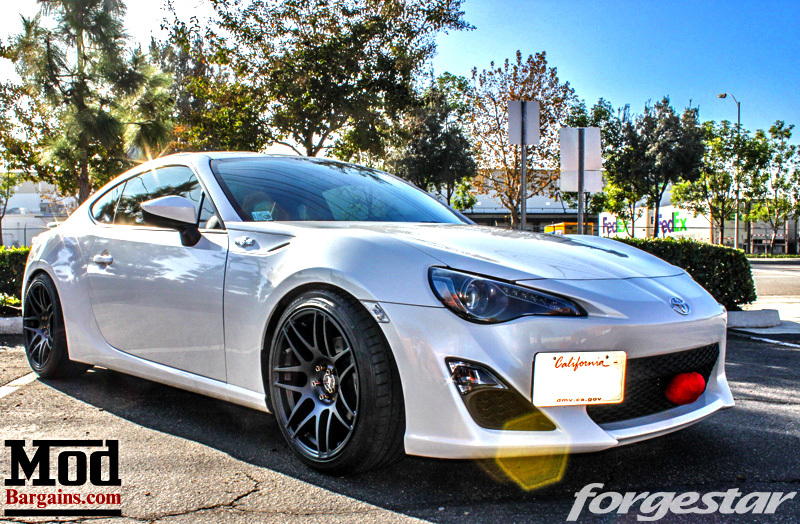 Brandon wanted a “square” fitment, meaning all four corners are the same, so ModBargains Co-Founder Ron recommended the Forgestar F14 18in Wheels for Scion FR-S be spec’d at 18×9.5et38, wrapped in Falken Azenis 245/35-18 tires – a huge step up from the garbage prius tires the car comes stock with. Sure, prius tires make it easy to drift, except last I checked, Prius with low-rolling-resistance tires weren’t renowned for their amazing handling – so adios to those. With the wheels installed, the car really “pops”, even at stock ride height. 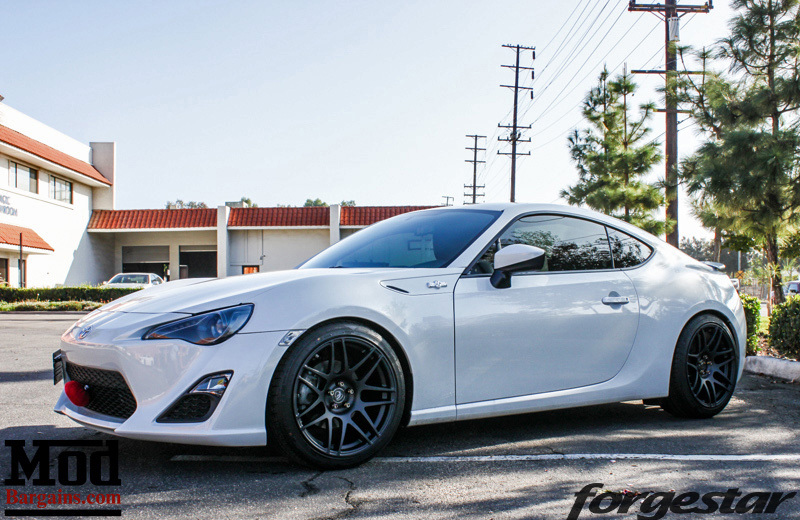 There are a number of directions stylistically that Brandon could go from here, including some FR-S Suspension parts, or more Scion FR-S exterior parts. 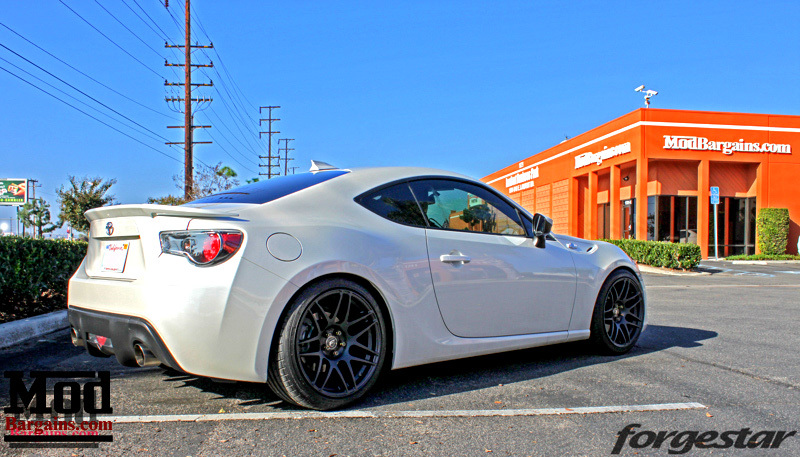 But as it sits now, his FR-S is looking pretty good. 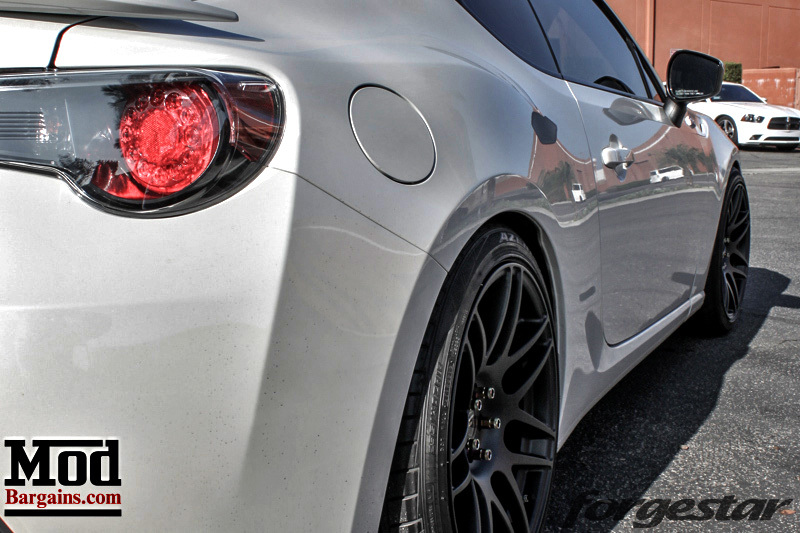 If you’re looking for some Scion FR-S parts yourself, be sure to stop by ModBargains.com, or check out our blog post on how to get the most out of your FR-S/BRZ.